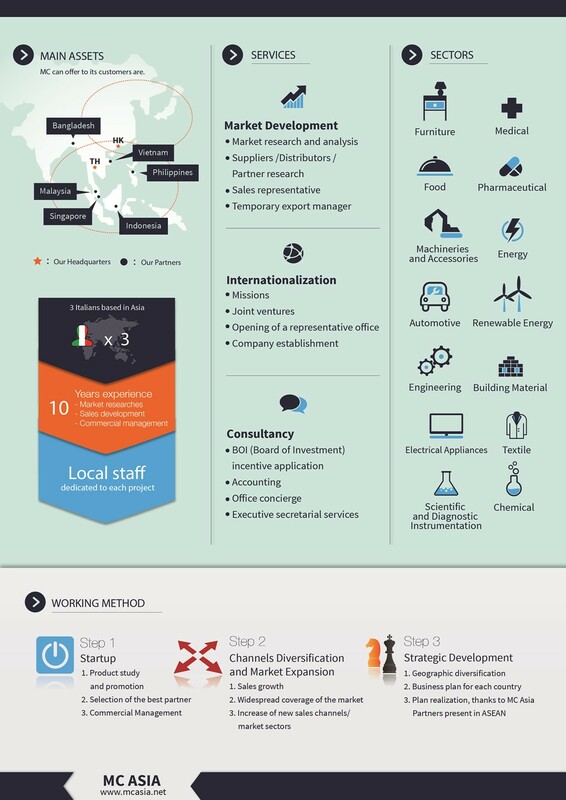 With many years of experience working in the export industry and also heading a large organization based in Asia for European firm, it was a natural progression to set up our own Asian company. From the start, the company had a clear goal of linking the demand in Europe with markets in South East Asia and it is played a key role in bridging the barriers faced by businesses from both sides. M.C. Square is facilitating the trading in the entire Asia region to avail with local partners, which is supporting the daily business and identifying new business opportunity. We have two offices; one is based in Hong Kong and another one is in Bangkok (Thailand). A strong presence in the Asian market is a key point of our mission to provide high standard service. In addition of having offices that employ local staffs, these allow us to reduce intangible barrier due to cultural difference. 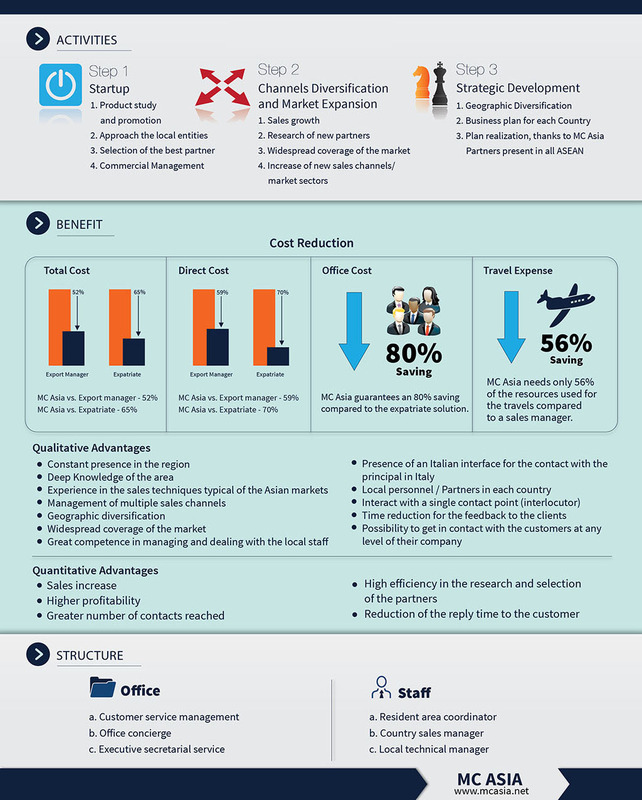 Nowadays, Hong Kong and Bangkok are assumed to be the roles of a business hub in the region and become the key intersection point where all countries in the Far East are easily accessible. 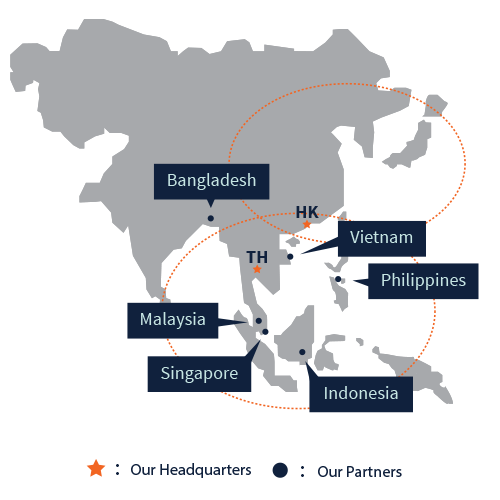 Thanks to our partners’ network, therefore we are able to cover other countries in all South East Asia and South Asia. © Copyright 2019 by MC Asia. All rights reserved.